Welcome to the first installment of Money School, in which I will take a topic that I think might be causing particular confusion and attempt to clarify it. If there's something you've been wondering about, send along a request for a future post! The topic of this post is tax filing statuses. This is the type of taxpayer you are, according to the IRS, and it determines what tax rate you will pay on your income. There are five statuses, but they are broadly grouped into two categories: the married statuses and the unmarried statuses. Which of these two broad categories you fall into hinges on one question: were you married on December 31? And for IRS purposes, married means married, but the definition also includes: not legally separated even if you are living apart, and widowed during the year and not remarried. Some taxpayers qualify for multiple statuses; if so, you are allowed to choose the one that benefits you the most (generally, that means the one that results in the lowest tax, but not always, as we'll see below). If you were IRS-married on December 31, you and your spouse need to decide if you will file Jointly or Separately. The typical status for married people, because the lowest tax rates apply. Each spouse's income is combined, and the deductions and credits available are the most beneficial. Both spouses have to agree to use it and sign the return, and are jointly responsible for any tax owed even if the couple's finances are otherwise separate: you don't need to have a joint bank account to file your taxes jointly, but if the taxes aren't paid - even if the income earned was completely your spouse's - you're still considered responsible. This is NOT the same as Single, described below. I think this is a big point of confusion, probably because when telling your payroll department how much tax to withhold via your W4, you can select "Married but withhold at higher single rate", which makes sense by itself but payroll deductions don't map directly to income tax filing. So the confusion around this is really pretty understandable. When using this status, each spouse prepares their own return using only their individual income and deductions. 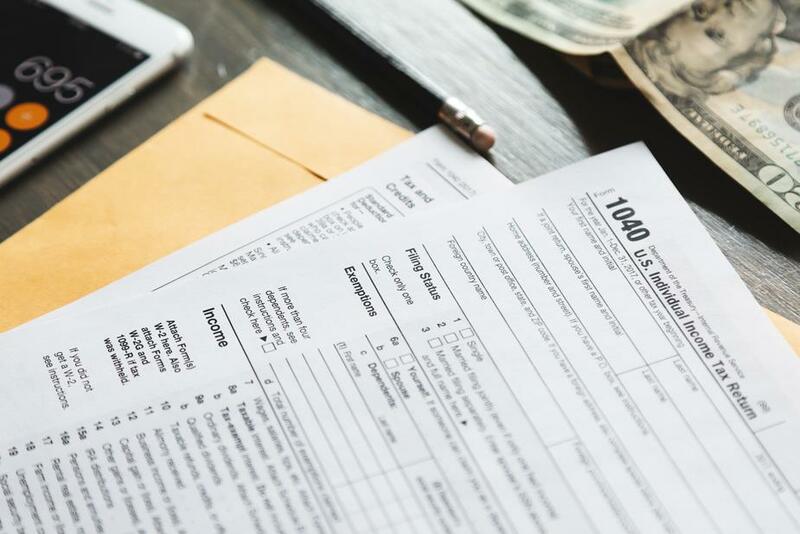 There are several drawbacks when using this status: both spouses have to file the same way, meaning both must itemize or take the standard deduction, even if it's not beneficial for one spouse. Tax rates are highest for this status, and several deductions and credits are limited or eliminated entirely. So why does anyone use it? First, because it holds each spouse only responsible for their own tax liability. Second, because in some limited situations (namely if you are on particular kinds of income-driven repayment plan for Federal student loans, or if one spouse had very high medical expenses relative to their income), the status might yield a preferable overall result, despite the higher tax liability. Depending on your circumstances, you would be considered Single, Head of Household, or Qualifying Widow(er) with Dependent Children. This is a beneficial status to claim if you qualify since the rates are lower than for single filers, but the rules are complicated and if you think it applies to you, it's a good idea to talk to a pro to be sure. You need to be unmarried at the end of the year, AND provide more than half the cost of keeping up a home for a qualified person for more than half the year. The qualified person is usually a child, but it could be other family members too. Some qualifying persons have to live with the taxpayer and be considered the taxpayer's dependent, but some do not. In the year your spouse dies, you may file a joint tax return (as is reasonable, since you probably had joint income that year). If you have dependent children (who lived in your home all year), you pay more than half the cost of keeping up a home for the entire year AND do not remarry, then for two years following your spouse's death you can use this status. The tax rates are the same as for Married Filing Jointly, on a presumably much lower single income, so if you qualify you should absolutely take advantage. And those are the five filing statuses explained.